We were pleased to support the Open Programme of courses and lectures for The Prince’s Foundation School of Traditional Arts between 2015-2018. 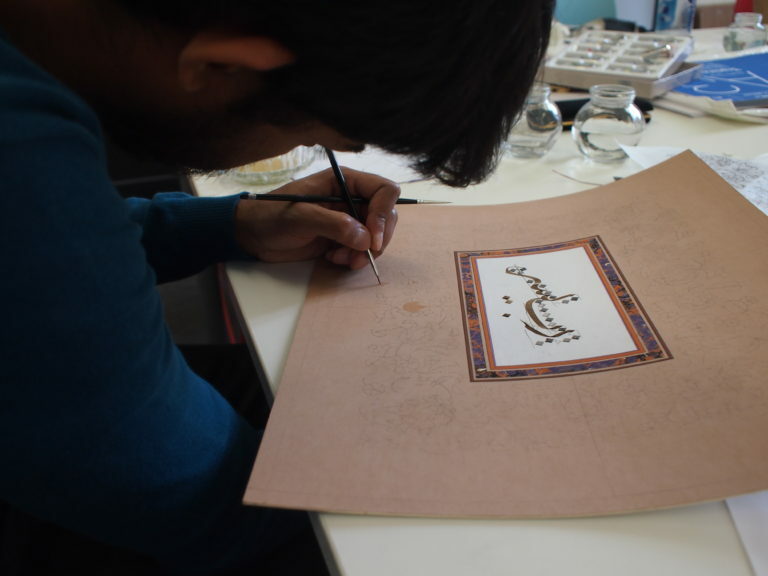 Hands-on courses we helped to introduce included a wide range of subjects taught by international masters such as Chinese calligraphy, Japanese wood blocking, Kufi and Diwani script, Islamic manuscript illumination and ceramics from Pakistan. Some highlights from the lecture series’ include Professor Michael Barry’s ‘Roofs of Heaven’ talk, which can be viewed here, Reza Shah-Kazemi’s discussion about ‘Rumi and the Communion of the Saints’, Bahman Panahi’s presentation connecting Persian music with Calligraphy and a fascinating exploration of Islamic Geometry through Mamluk, Persian, Mughal, Moorish and Ottoman cultures. All courses and lectures delivered can be found in our past events. In addition, the Bagri Foundation awarded two scholarships for the Master’s programme at the school in 2017 and 2018 and an additional Prize in 2017. The Bagri Foundation has partnered with The Prince’s Foundation School of Traditional Arts since June 2015 on its Open Programme. The Bagri Foundation Open Programme at The School aimed to present new courses with a particular focus on the traditional arts and crafts of Asia.